Dundas Valley City Branch 36 of the Royal Canadian Legion runs a Youth Dart League each year open to all young people in the community between the ages of 9 and 18. They develop their dart playing skills while playing in the league each week from September to May. Members of the Dundas league also travel to area Legion Branches to compete with other Youth Dart League members in Legion Youth Darts tournaments. On May 12, the Royal Canadian Legion held its Provincial Youth Darts Tournament at Highland Creek Branch 258 in Scarborough The players from the Dundas Youth Dart League showed players from across the province that they meant business. Everyone played really well, had a lot of fun, met some tough competition, showed a lot of sportsmanship and came away winners. 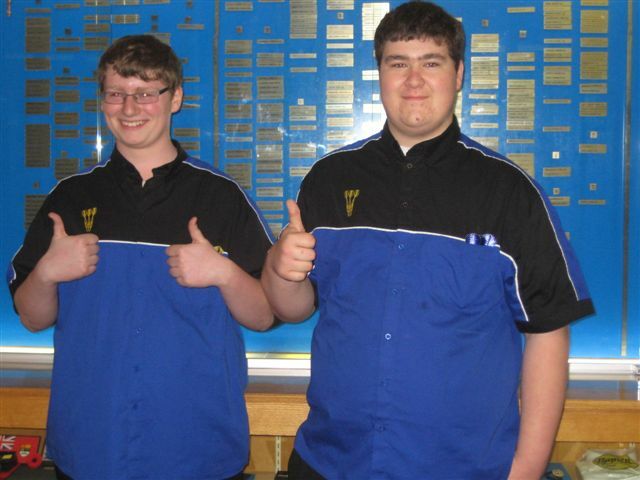 Travis Hopkins and A.J.Lewis entered and won the Provincial Senior Doubles Dart Tournament. Rachel Harrington, Curtis Holme, Mitchell Purchase and A.J.Lewis entered and won the Provincial Senior Teams tournament. They all played really well, had a lot of fun and showed great sportsmanship. 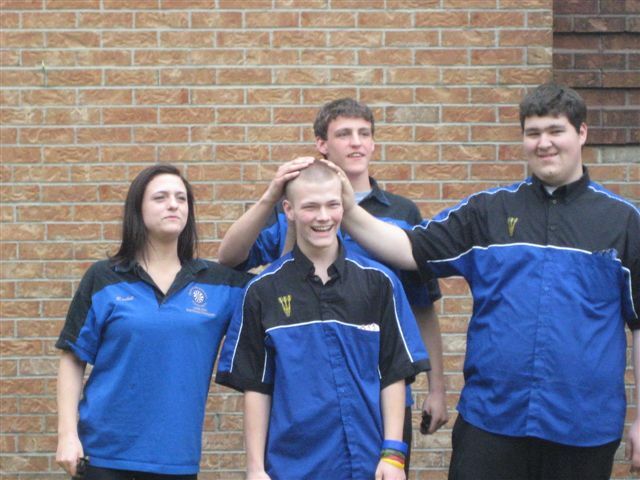 All of the members of the senior team rubbed Curtis' head for luck and apparently it worked. Each and every member of Dundas' Branch 36 should be extremely proud of these young people that will soon be the new members of Branch 36 and the adult leagues. If you would like more information about this league please email me at dlewis12@cogeco.ca or call Dawn Lewis at 905-628-0859. 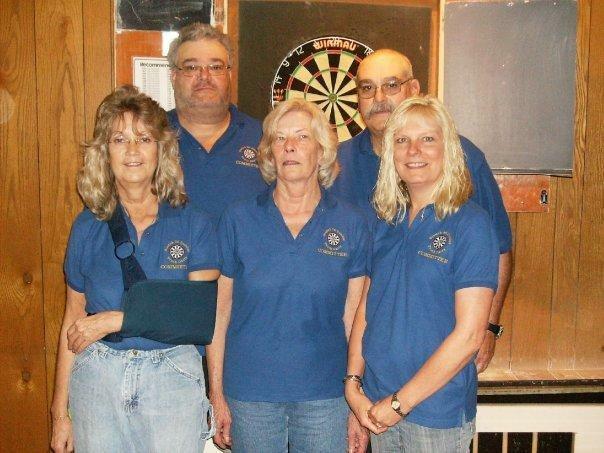 The Youth Dart League for 2011-2012 could only exist through the hard work of the following Legion member volunteers: Dawn Lewis, Judy Hall, Earl Lewis, Marilyn Latchford and Jamie Lewis. 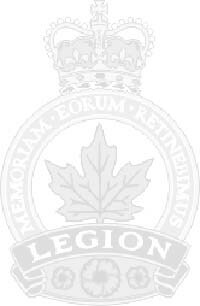 If you are between 9 and 18 and wish to play in the Legion Youth Dart League come to the Dundas Legion Banquet Hall (upstairs) on Wednesday, 12th September at 6:00pm.